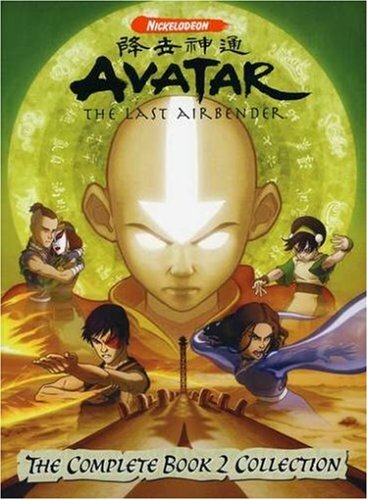 Synopsis: After mastering Waterbending, Aang, Katara, and Sokka journey into the Earth Kingdom to continue Aang’s quest to master the four elements. As Aang continues to train, the group seeks to stay one step ahead of Fire Lord Zuko and his sister Princess Azula, who are hot on their train. Along the way, they will encounter old friends and new who will aid them in bringing an end to the war and restoring peace to the world. This series has the unique ability to keep building on itself and that is what this second season does: adds more and more dimensions to the world and the characters. We see much more of Zuko’s backstory and begin to understand the harshness and the anger behind his actions goes far beyond what we first believe. We also meet Toph, a blind Earthbender who reluctantly joins the team to help Aang master the element of earth. I think she’s actually one of my favorite characters, and not just because she can be overly sarcastic; she sees the world in a very different way because she is blind and she has a different take on what it means for Aang to become the Avatar. Sokka continues to provide a majority of the comic relief, but his awkwardness is slowly being outgrown as the series goes on. There’s also much more romance in the air in this season, partially because the characters are growing up a little more. The art that swept us away to a snow-covered North in the previous season now takes us to the orange and browns of the deserts that make up the Earth Kingdom, almost in tandem with the sense of urgency that our characters feel as they find themselves growing more and more anxious about what their futures will bring. The story is well-written, the scripts well-executed by the actors, and it has a rare depth to it that goes beyond the notion that cartoons are just for kids. It is a show that is enjoyed on multiple levels by all ages.